It’s been a while since you’ve heard me say much about Windows 10. Quite honestly, I haven’t been too happy with the way things have developed. I recently updated everyone on the status of the disappearing ink bug. It hasn’t been an easy go of things. Even with all of the potential fixes installed, the problem still remains. It’s been very frustrating for me, and I know that there have been a number of others who have indicated that this particular issue has reduced the amount of value received from the device to near zero. They purchased the device because it was supposed to work so well with OneNote. (if you remember, the Surface Pen’s top button – the one that looks like an eraser at the end of the pen – actually opens OneNote. However, that’s not working right, especially under Windows 10; and as I said, ink is still disappearing. My level of confidence in the overall stability and quality of the OS has fallen since its launch on 2015-07-29. With Threshold 2 set to deploy to production sometime before the end of October 2015 – and TH2 represents the FULL vision of what Windows 10 was originally supposed to be when released – my level of confidence isn’t very high. In fact, I’m quite disappointed… but that’s another conversation entirely. 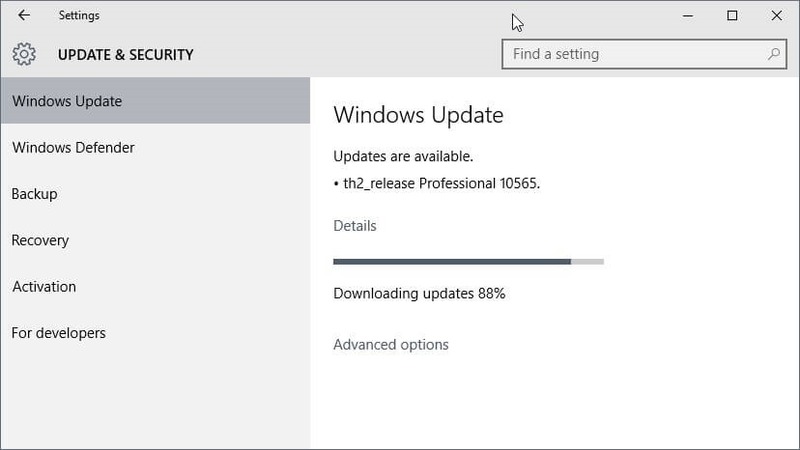 In the quest to get us closer to the final TH2 milestone, Microsoft has announced the release of Build 10565 to Windows Insiders on the Fast Ring. As with all pre-release builds, There are a number of release note items that you need to be aware of. While there are bugs and known issues that need your acknowledgement, the current build of Windows 10 isn’t feature complete. As such, Microsoft has also released a number of new features for testing to Fast Ring Insiders as well. I’ve got a run-down of both, below, for your consideration.